Africa: The Caine Prize - Is There Such a Thing As African Writing? Africa: The Caine Prize - Is There Such a Thing As 'African Writing'? 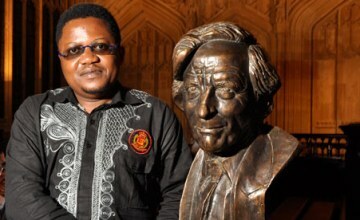 LONDON, July 23, 2012 (TAP) - This year's Caine Prize highlights the need to question the notion of 'African writing' if stereotypes of the continent are to be challenged. On July 2, Rotimi Babatunde of Nigeria was declared the winner of this year's Caine Prize for African Writing. His story, Bombay's Republic, tells of a Nigerian soldier fighting for the British Empire during World War II. Colour Sergeant Bombay witnesses much brutality, and what started out as pride in fighting for "his" empire ends with complete disillusionment. On his return to Nigeria, he declares his own personal independence.